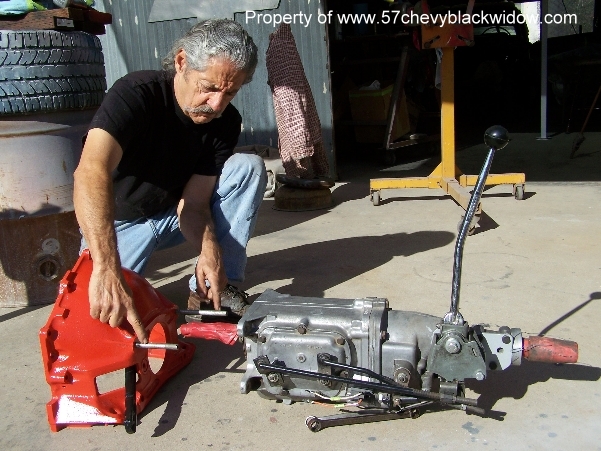 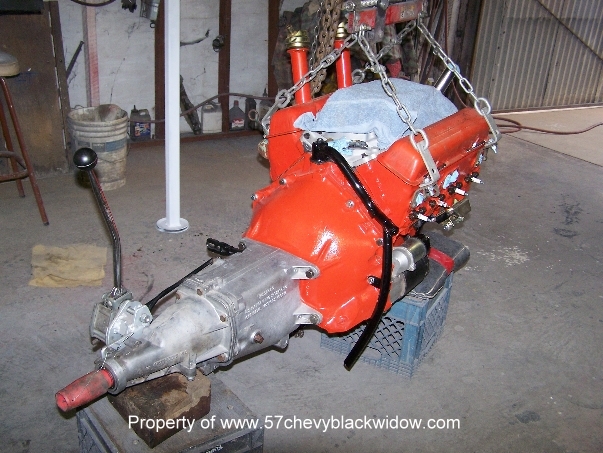 In this update "Old Guy Scott" gets the engine ready to install. 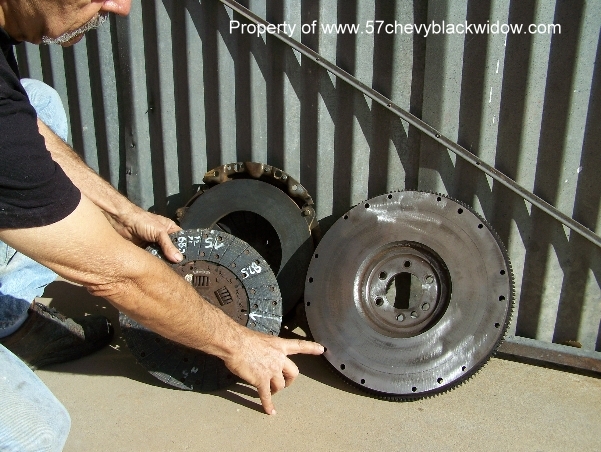 Photos #494 and #495 you see the truck flywheel, "Black Widow" used (11 inch), also showing race quality bolts. 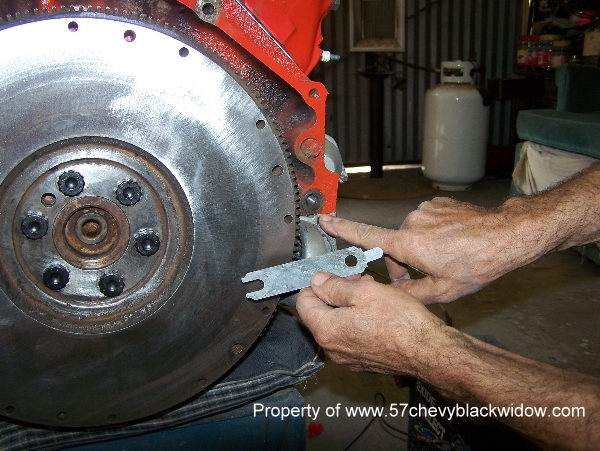 Photo # 496 shows the use of a flywheel lock to hold flywheel secure while torquing down the bolts. 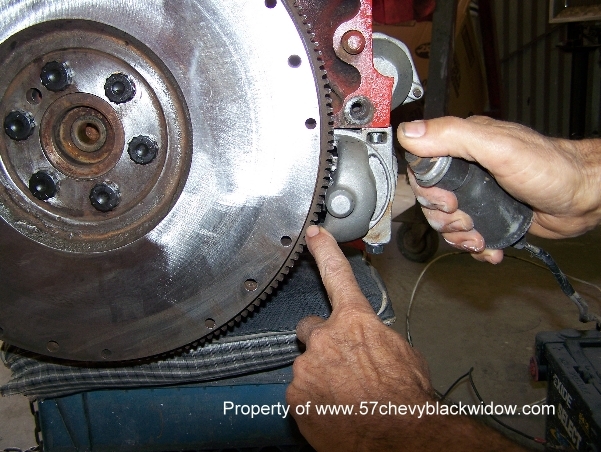 Photos #497 and #498 you see "Old Guy Scott" using a solenoid button to hold out the pinion, checking for tooth clearance and shimming if necessary. 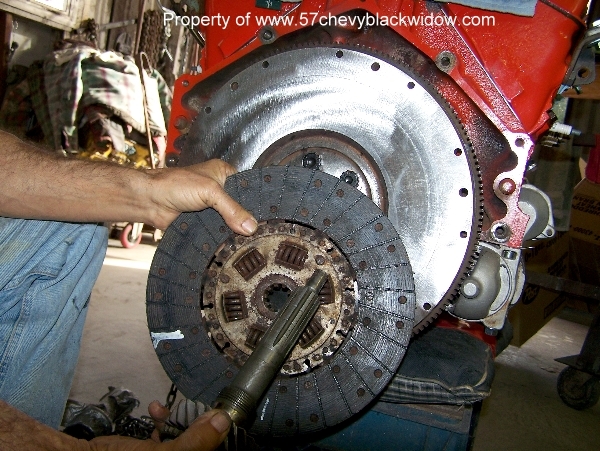 Photos #499 and #500 you see "Old Guy Scott" using an input shaft to align the clutch disc while tightening the pressure plate. 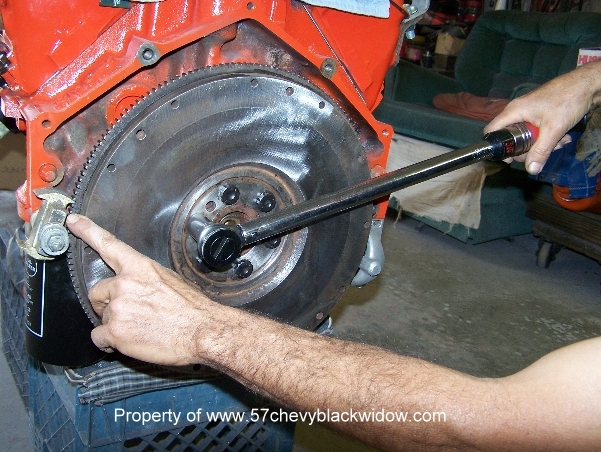 In photo #501 "Old Guy Scott" is using guide pins to install the transmission. 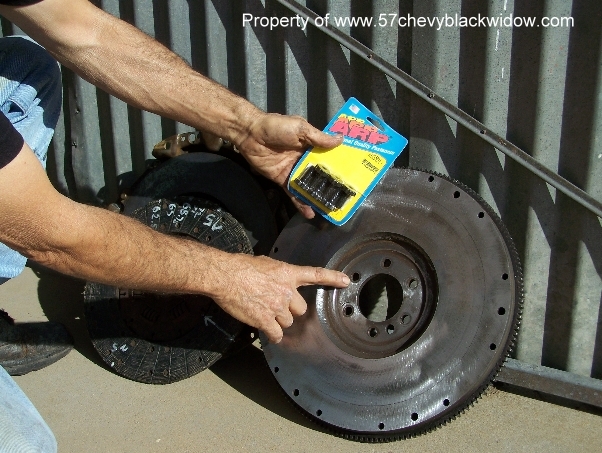 You must use these to keep from cracking or bending the clutch hub. 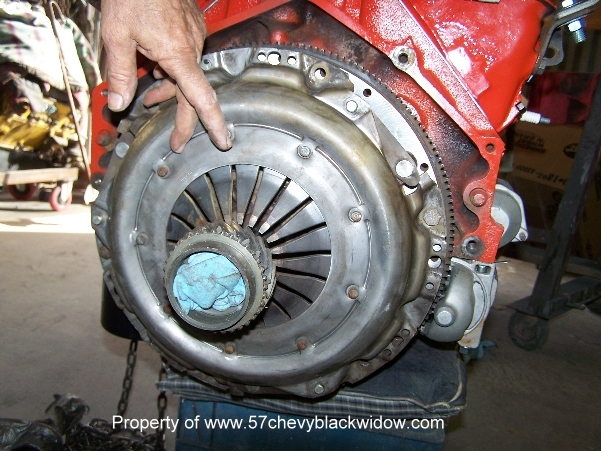 The one on the left side must be short enough to clear the side cover bolts upon removal, be sure to check this first. 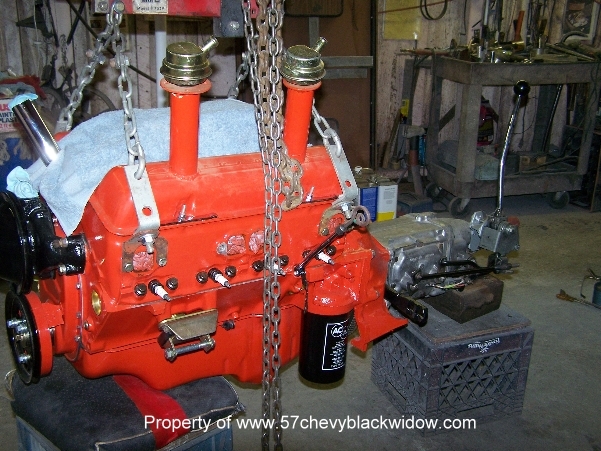 Photos #502 and #503 you see the engine ready to install.